Cape Town - The Stormers are in the grips of a slump ... three losses in succession, with one point to boast from a possible 15, tells you that in pretty clear language. This period has been damaging enough to suggest that, after an optimistic start featuring four wins from as many games, they are likely now to be vying more for a basic playoffs berth - with its associated disadvantages - in Super Rugby 2015 than a realistic crack at a home semi-final. Their 25-20 Good Friday reverse to the runaway Hurricanes in Wellington leaves them very much marooned in mid-table in both their own conference and the overall log, and among a host of scrappers starting to simply aspire to sneak into top-six qualification come the finish of ordinary season. In that context, the next fortnight in Australia, having left New Zealand winless, assumes heightened importance as they weigh up remaining overseas tour matches against the Waratahs in Sydney (next) and then the Force in Perth en route back home. It has become near-essential that they bank at least one win from this pair of fixtures to stabilise a little, and perhaps at the same time to clear some of the tactical fog that appears to surround them right now. When you have lost three on the trot, you ought to be desperate enough to want to arrest the trend in the very next match, although at this stage beating the West Australians in a fortnight looks a likelier bet than downing the defending champion ‘Tahs next Saturday (11:40 SA time). Yet we also saw enough, in a stirring second-half bounce-back at the Cake Tin where they registered 17 points without reply, to suggest that Duane Vermeulen’s charges - though the skipper himself heads home for further Springbok-interest rest - will retain sufficient self-belief to still fiercely target victories in both. 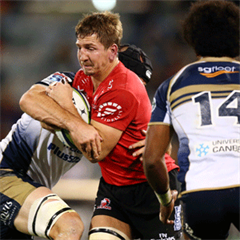 Certainly they will have an altogether rosier chance of knocking over the Waratahs at Allianz Stadium if they can bury a frustrating, developing trend for looking good in one half of a game and rather at sea in the other. That occurred at Newlands a few weeks ago - when their losing sequence began - as they produced some killer, up-tempo rugby in the first period to build a tidy lead against the Chiefs, only to be run off their feet later as the Waikato side produced a dazzling resurgence to win 28-19. 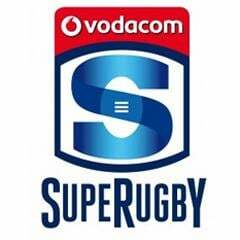 On Friday the Stormers did things in reverse: they paid a hefty price for a lack of cohesion, poor ball management at rucks and costly first-time tackle misses in the opening 40 minutes to go down the tunnel an ominous 25-3 in arrears. Admittedly the cruelly deceptive score-line was influenced in no small measure by the tourists falling victim to some officiating from Rohan Hoffmann that could have been straight out of Wacky Races at times. But then they took the game by the scruff of the neck in an immeasurably more clinical and fluid second half, not only denying the Hurricanes a fourth try but also earning themselves the consolation of a first bonus point of the season for getting within seven on the final scoreboard. In short, they suddenly went toe to toe - and then some - with the current best team in the competition and it does seem to indicate what they are capable of with the correct attitude and approach. More of their players, perhaps, need to take a cue from the irrepressible Schalk Burger, who goes and goes and goes while on the park; if games lasted 160 minutes you suspect the veteran loose forward would still be putting in monster hits or surges in the 159th. In a broadly dominant pack performance, it was a pity that other gnarly, key characters like Duane Vermeulen and Eben Etzebeth only seemed to warm properly to the occasion after halftime, when their Springbok pedigrees came rather more pleasingly to light. It still seems as though the Stormers are teetering confusingly between whether to stick to the no-frills, conservative sort of game-plan that has often seen them eke out tight wins in the past, or to answer the desire in many circles for them to restore “Province rugby” attacking principles more profoundly. They also continue to be hamstrung by a lack of consistent authority at Nos 9 and 10 - there is a special quandary at flyhalf, where Demetri Catrakilis and Kurt Coleman offer very different strengths and weaknesses. The time may have come, in Sydney, to entrust Coleman with a start, in the hope that his greater willingness to take the ball closer to the advantage line gives them more sustained oomph, although an alternative school of thought would be that Catrakilis is more able to dispense a dictatorial kicking game that supplements forward dominance. Another two losses in Australia shortly would make it a second successive winless overseas leg for a team with a prior reputation for travelling quite well - they also lost all four fixtures abroad in 2014 and it left them with too much to do to crack the playoffs upon return. If the Stormers do stay stuck on four wins from nine matches as they head back to Cape Town, it would probably mean the constant-pressure requirement of winning at least five of their remaining seven matches in South Africa to make the finals series cut because they do not have a reputation for amassing useful four-try bonus points easily. They can make the task that bit more realistic if they snaffle a precious win - or two! - in Australia, and we have seen enough genuine quality in flashes to suggest it can be achieved. Here are all the remaining ordinary-season Stormers assignments: Waratahs (a), Force (a), Bulls (h), Cheetahs (a), Brumbies (h), bye, Rebels (h), Cheetahs (h), Lions (h), Sharks (a).